There's Woakes's first Test wicket. Caught well by Trott on the boundary. Seems a bit early for declarations, but Clarke clearly has visions of Old Trafford dancing in his head. Every fielder is on the boundary. 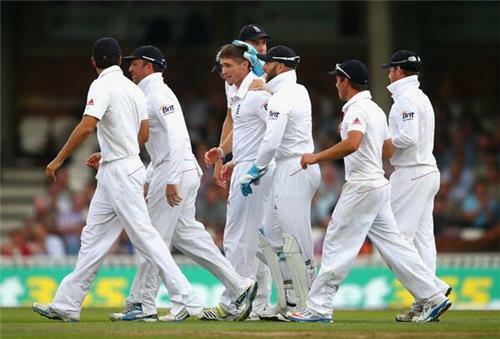 What looks like four down the leg side past Prior is actually cut off by the athletic Joe Root. 36 overs in 3 hrs of play..if this doesn't get the ICC to address slow over-rate issue seriously, they'll be doing a disservice to the game! Take a bow Steven Smith, incredible knock of 138 not out. #Ashes . The Aussies are wandering out onto the field. They've got 20 overs to heap the pressure on England. Play can go on until 7:30pm. 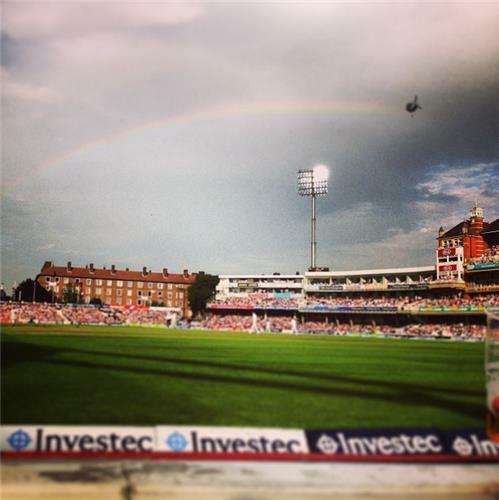 It'll be Mitchell Starc to start things off from the Vauxhall End. Here we go. 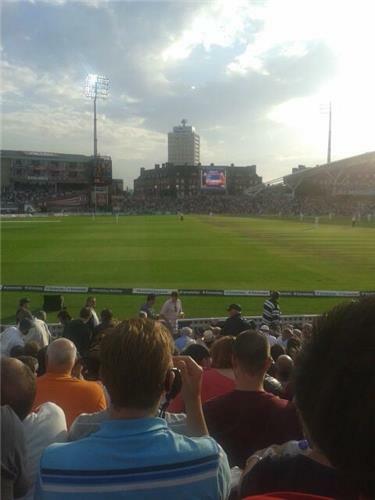 Starc drops short and the England captain is off the mark with a pull down to fine leg. Ryan Harris takes the new ball from the Pavilion End. Unlike Starc, he's on the spot right away. 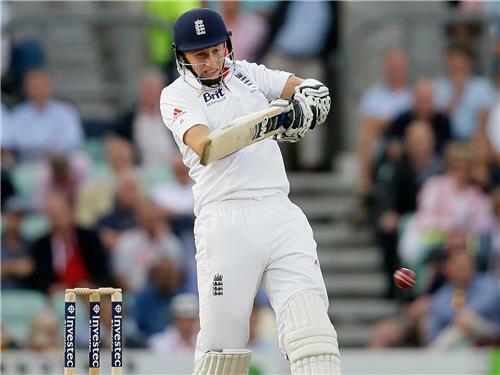 Couple of leaves and some solid defence from Root. Harris starts with a maiden. Faulkner slants one across Root who flashes hard and misses. It wasn't short enough to cut. That's better from Root. Short and wide from Siddle. Cut cleanly for four. Top shot! Too short from Faulkner. Cook rocks onto the back foot and pulls him hard for four. ENG 22-0.